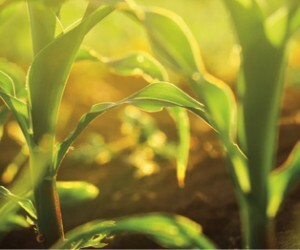 South Africa’s (SA) agriculture is divided into three main commodity sectors. Livestock accounts for 47% of the country’s gross producer value (GPV), followed by horticulture and field crops whose share stood at 29% and 23% respectively in 2016. Poultry accounts for 16% of the agriculture GPV, followed by beef (12%), maize (11%), deciduous fruits (8%) and Citrus (6%). Together these account for 54% of the total agriculture GPV to the tune of R132.80 billion during the 2015/16 season. Poultry – Chicken (broiler and layers) distribution in SA is led by the Western Cape at an estimated 21.9% share, followed by the North West (21.3%), Mpumalanga (15.8%), KwaZulu-Natal (13.8%), Gauteng (10.3%), the Free State (6.8%), the Eastern Cape (5.6%), and the Northern Cape at 0.2% of the total according to industry estimates. Beef – The Eastern Cape accounts for 24% of the total beef herd of 13.69 million, with Kwazulu-Natal the second at 20%, the Free State (17%), the North West (12%) and Mpumalanga (10%). The shares of other provinces are 7% for Limpopo, the Western Cape and Northern Cape both with 4%, and Gauteng at 2%. Field crops – Mpumalanga leads with maize production at 29.8% market share, followed by the Free State (28.5%) and the North West (14.7%). The Northern Cape produces 9.1% of the total and mainly under irrigation, followed by KZN (6.7%), Gauteng (5.7%), Limpopo (4%), the Eastern Cape (1%) and the Western Cape (0.6%). Deciduous fruits—These are mainly produced in the Western Cape and Eastern Cape Provinces, all under warm, dry summers and cold winter conditions. Others such as the Northern Cape have a small market share. Citrus – Citrus is mainly produced in Limpopo (42%), Eastern Cape (26%), Western Cape (16%), Mpumalanga (18%), KwaZulu-Natal (3%) and Northern Cape (2%). Citrus and deciduous fruit are major export earners and have helped the country to record a positive agriculture trade balance in 2016. SA’s agricultural labour force stood at about 835 000 heads during the second quarter of 2017. The Western Cape has the largest share and accounts for 22% of the total agriculture labour force, followed closely by Limpopo at 17%, KZN (15%), MP (11%), EC (11%), FS (10%), the NW (6%), the NC (4%) and GP (4%). The expected grain harvest is now expected at a record high of 18.91 million tons according to the latest crop estimates report, which is 101% higher relative to last year. The maize harvest is now estimated at 16.41 million tons, up by 111% year-on-year (yoy). Maize accounts for 87% of the total grains in SA and is not only used for human consumption but also livestock feeding where it constitutes over 70% of feed. The horticulture industry was the least affected by the drought due to irrigation as many on-farm dams did have sufficient water. The relatively weaker rand exchange rate also helped with export earnings as the industry is largely export driven. Agriculture has over the past few years contributed less than 2.5% to GDP per year. However this could even be higher if one considers its forward and backward linkages to other sectors of the economy as in the case of manufacturing where about 70% of the agricultural output is utilised as raw material. Agriculture GDP reached R65.84 billion at constant 2010 prices in 2016 from R71.42 billion in 2015. Recent forecasts showed that normal rainfall is expected for the 2017/18 crop season as the El Niño weather pattern has dissipated. The strength or weakness of the rand will influence agriculture’s contribution to the economy in terms of import parity prices and export revenues.